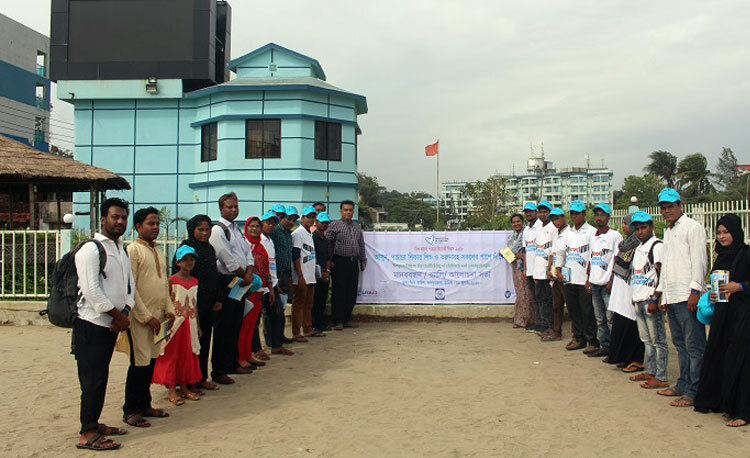 With a strong vow to stop human trafficking, IOM & YPSA jointly under the umbrella of District Commissioner’s office of Cox’s Bazar organized ‘World Day against Human Trafficking in Persons-2018’ at the District Commissioner of Cox’s Bazar on 3oth July, 2018. The observation program was inaugurated with releasing a balloon. 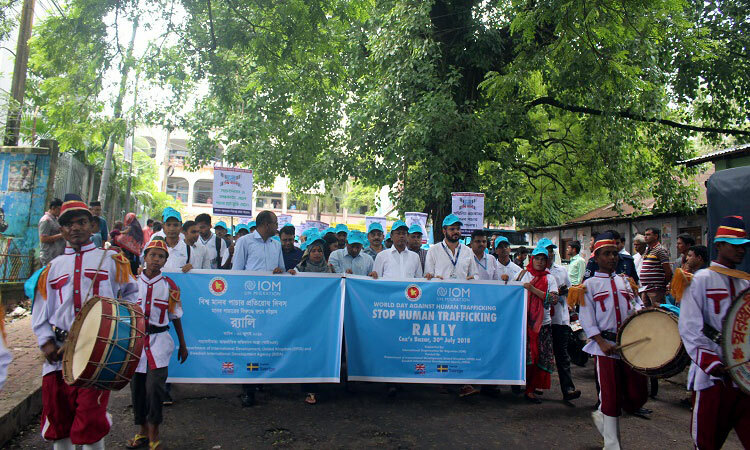 A colorful rally joined by representatives from different walks of life marched in the Cox’s Bazar city. Approximately 1,000 (one thousand) people walked in the rally. After the rally, a discussion meeting was held in the conference room of BIAM, Cox’s Bazar in which Mr. Md. Ashraful Afsar, Additional District Magistrate, Cox’s Bazar presided over the meeting. 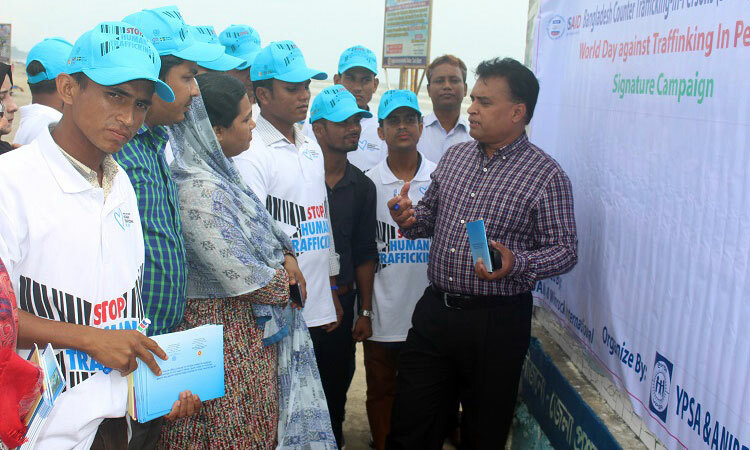 Among the special guests were Mr. Manuel Pereira, Ad Interim Deputy Chief of Mission of Emergency, IOM Cox’s Bazar, Colonel Manujurul Hasan Khan, Commanding Officer, Border Guard Bangladesh, Cox’s Bazar and Dr A.K.M Iqbal Hossain, Superintended of Police, Cox’s Bazar. 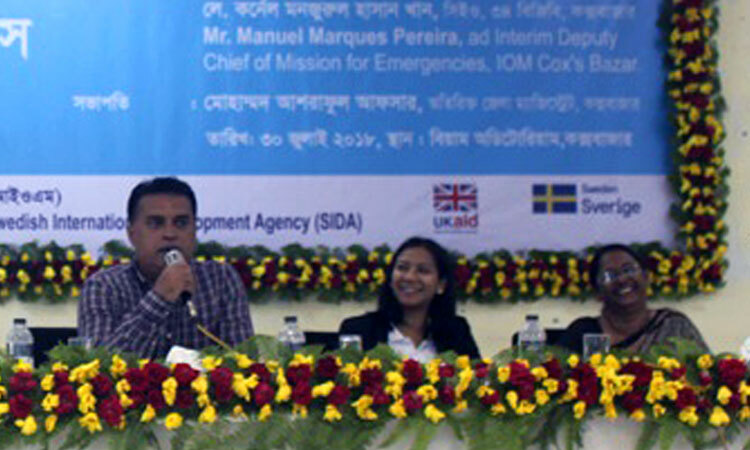 Assistant Commissioner (Expatriate Welfare) of DEMO, Cox’s Bazar gave the welcome speech while Md. 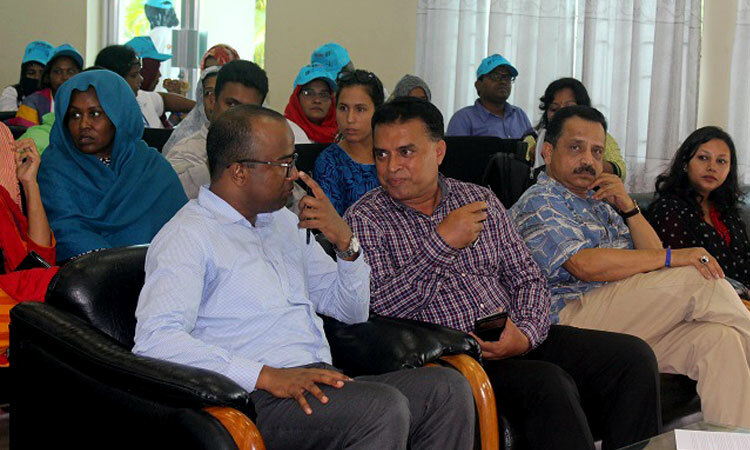 Arifur Rahman, Chief Executive (CE) of YPSA spoke highlighting the significance of the day and initiatives YPSA has so far taken to reduce human trafficking and reintegration of victims of trafficking (VoT) in the families and communities. At the direction of Mr. Jishu Barua, Program Coordinator of ‘Initiatives to Prevent Human Trafficking in Emergency Response’ funded by International Organization for Migration (IOM), a short drama on human trafficking was staged which received so much praise from the audience. 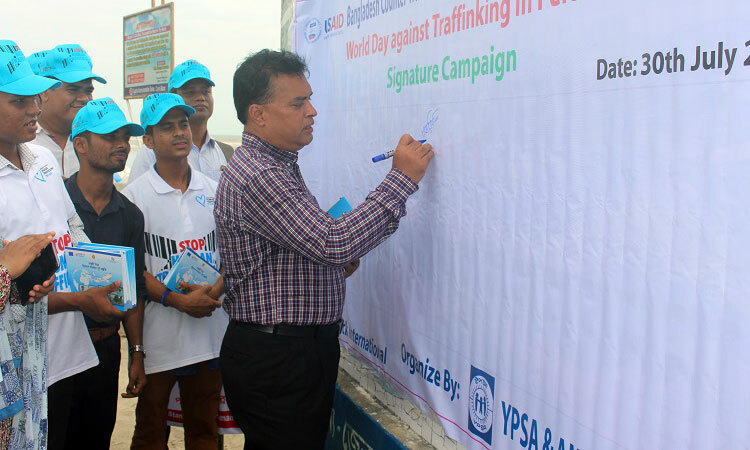 On the other hand, YPSA-Bangladesh Counter Trafficking-in-Persons (BC/TIP) organized a Signature Campaign at the Laboni Point of Cox’s Bazar beach, Cox’s Bazar. Md. Arifur Rahman. 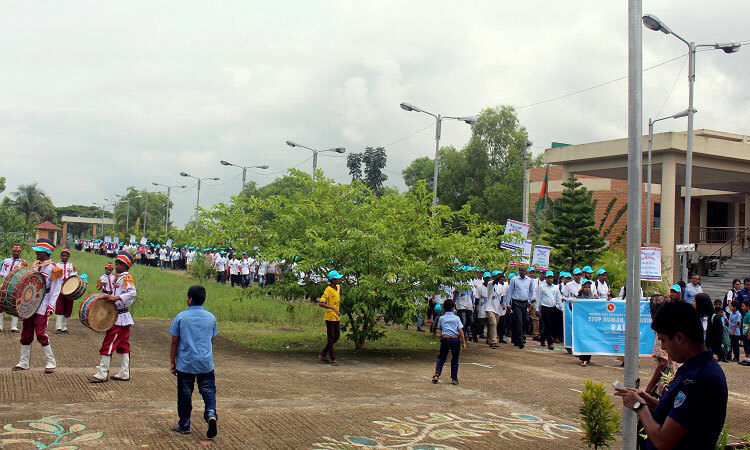 CE of YPSA, inaugurated the campaign. 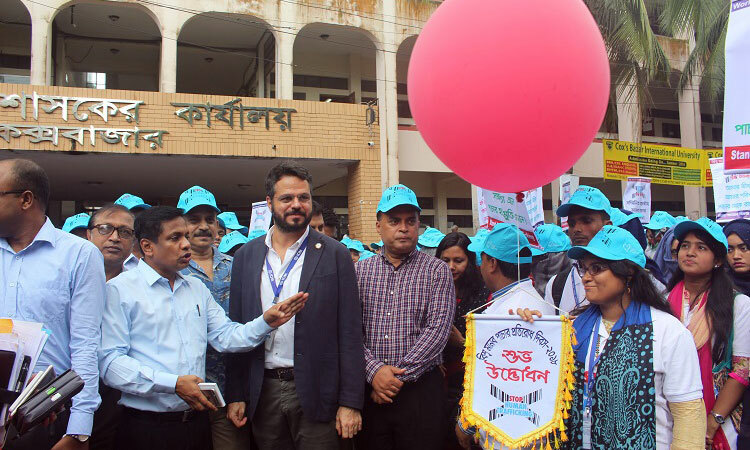 Tourists, community people and different agency people attended the program and put their signatures on the board promising working for reduction of human trafficking in Bangladesh.